Situated in the foothills of the Himalayas, Mussoorie is a beautiful place to visit in Uttarakhand. With a wide range of beautiful places the list of places to visit in Mussoorie make it one of the most popular hill-stations. The best time to visit Mussoorie is between March and November when the weather is at its best form. Regarded to be one of the serene places to visit in Uttarakhand, Mussoorie holds a special place in the hearts of travellers in the country. 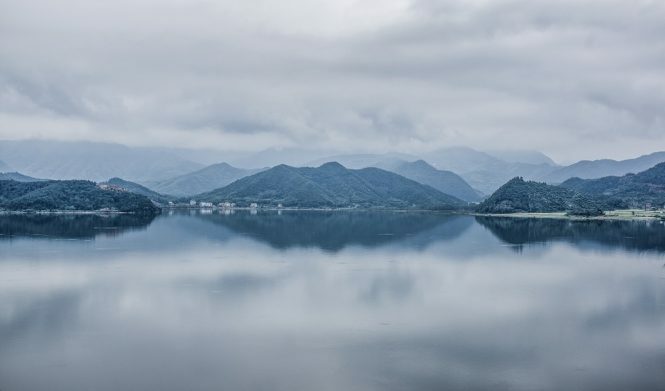 In addition to the serene weather, Uttarakhand offers a whole lot of adventure activities to keep your adrenaline levels high, throughout the trip. That being said, Mussoorie is also a place that is blessed with a great range of hotels and resorts that will take you close to nature. The resorts in Mussoorie are nestled in the laps of the Himalayan ranges, making you wake up to beautiful views in the mornings. The hotels in Mussoorie are also pretty much affordable, keeping you closer to the tourist attractions in this area. There are several Mussoorie packages that cover almost all the places that you need to visit in Mussoorie. These Mussoorie packages are carefully treaded to make sure that you get the best of this place. However, to make you get a clear idea of the places that you might like in this area, there is a brief list of such place, to make it easy for you. One of the most gorgeous places to visit in Mussoorie, the Mossy Falls are a class apart. These cold waters which tumble from a height of around 145 meters stand stall amidst the dense green forests that scream beauty all over. 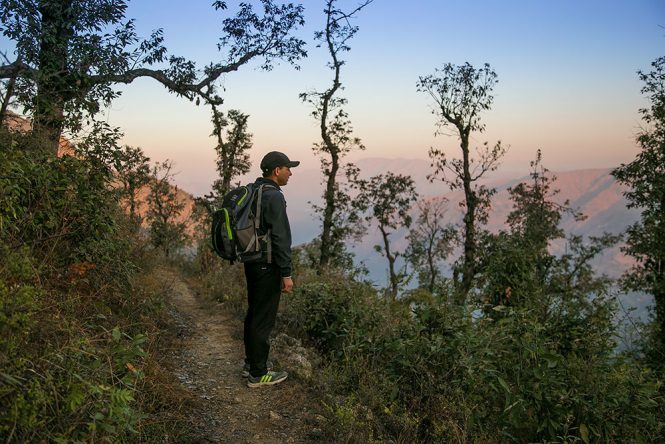 An early morning trek to the falls is everything you would want to experience on a blissful morning, making it one of the things to do in Mussoorie. 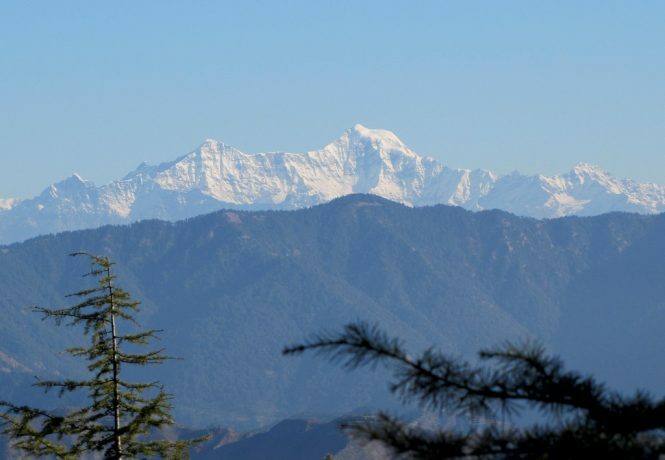 Translated as the Red Hill, the Lal Tibba is one of the most important tourist places in Mussoorie. This old scenic beauty is the best place to spot the sunrise and sunset in the entire town of Mussoorie. However, contrary to their name, these hills are white in colour with cold breezes that will take your breath away. 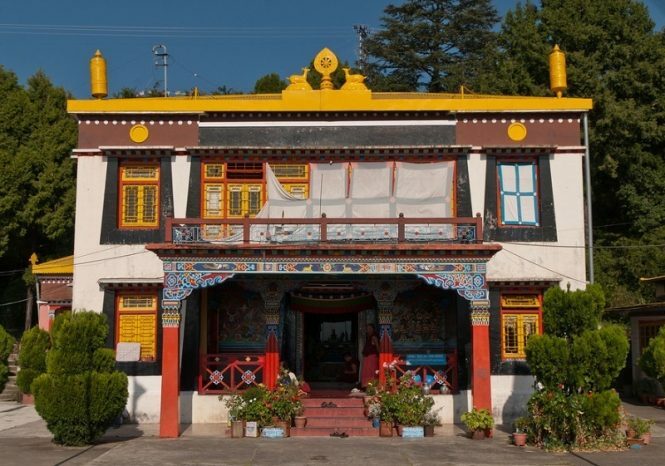 Often referred to as the Tibetan Buddhist Temple, this popular shrine in the region of Mussoorie is a great example of the beautiful Tibetan architecture. Surrounded by clay lamps and beautiful flowers, this tourist place in Mussoorie is one of the most religious places to visit in the area. Tucked between the Gurudwara Singh Sabha and the Laxmi Narayan Temple, this interesting bazaar is one of the interesting places to visit in Mussoorie. 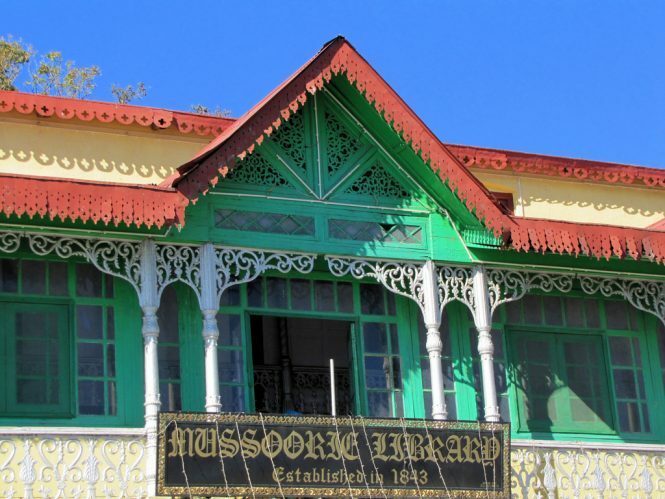 This tourist place in Mussoorie is also known as the Kitab Ghar which was found in the year 1843 which is present on this building right now. 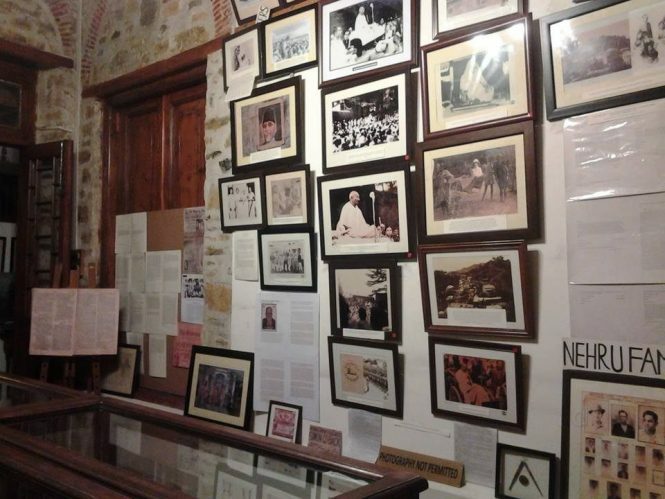 A famous tourist place in Mussoorie that targets at displaying the culture and heritage of the place, this Heritage Centre takes an important place in the Mussoorie tourism. With the growing Mussoorie tourism, this centre was commenced in the year 2013 to bring awareness about the same. 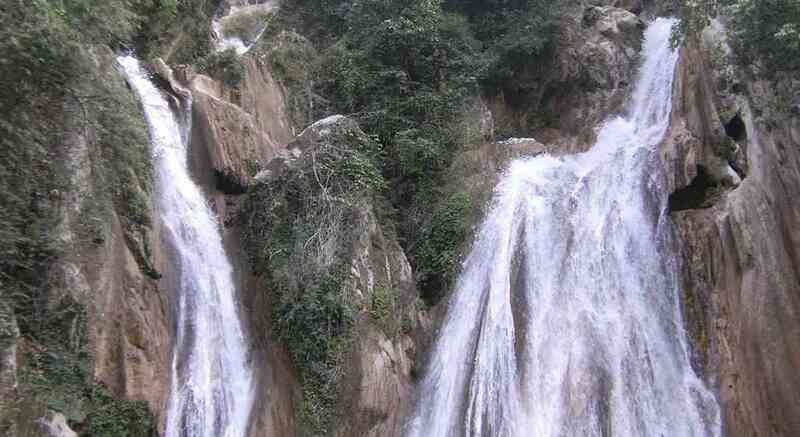 Yet another gorgeous place to visit near Mussoorie, the Kempty Falls is the signature waterfalls in the town. This tourist place in Mussoorie is a majestic waterfall surrounded by the natural hills leaving the tourists spellbound by its beauty. Situated approximately 15 km away from the city of Mussoorie, the Bhadraj Temple is a must-visit place on your list of things to do in Mussoorie. Dedicated to Lord Balbhadra, this temple boasts magnificent views of the Chakrata Ranges, Jaunsar Bawar region, and the Doon Valley. It is one of the most famous tourist places to visit near Mussoorie. Known to be the house of the Welsh geographer, Sir George Everest, this museum is a beauty of Mussoorie that you should definitely witness. One of the most stunning places to visit in Mussoorie, this museum adds charm and glory to the entire town. You can get the best of the Mussoorie temperature in this place, owing to the snow-capped mountains located nearby. One of the most mesmerising places to visit near Mussoorie, this tiny hill station offers daunting views of the Himalayas. Holding the record for the highest number of visitors in Mussoorie, this place enhances Mussoorie sightseeing with its beauty and grace. Featuring a cable car ride that takes you to Gun Hill from Jhula Ghar, this ride to the Gun Hill is one of the most exciting things to do in Mussoorie. 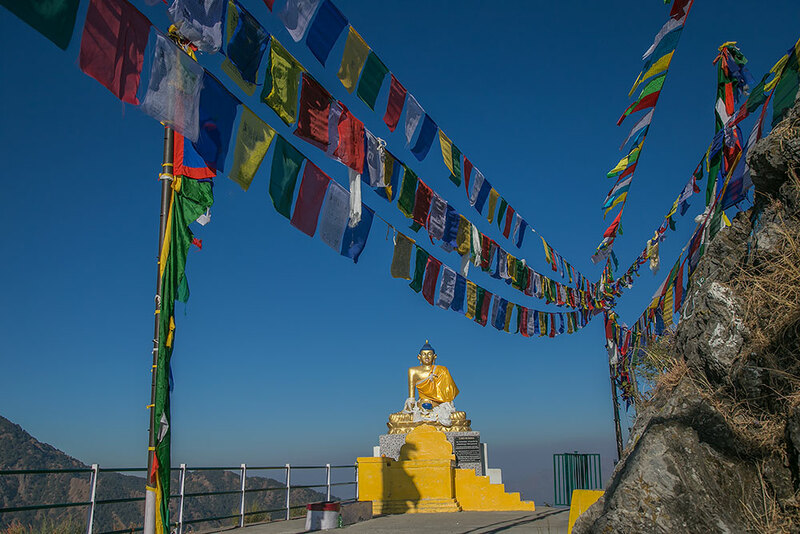 Listed among the most peaceful places to visit in Mussoorie, the Gun Hill attracts a large number of tourists from various places with its natural beauty. 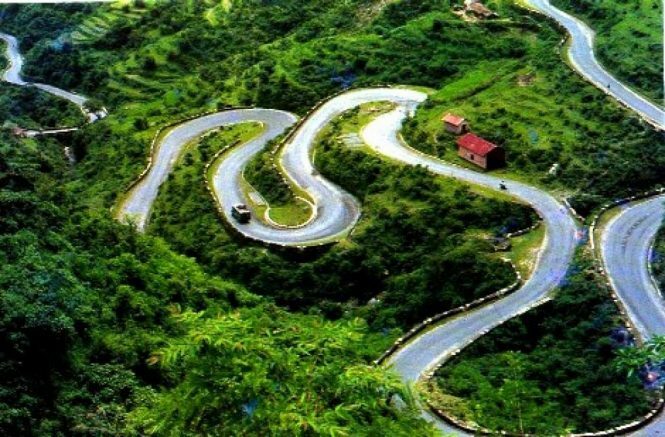 This 3 km road that starts from Liberty Point and ends at the Kurli Bazaar is one of the most adventurous things to do in Mussoorie. This ride offers you stunning views of the beautiful Doon Valley including many eateries on its way to quench your hunger. 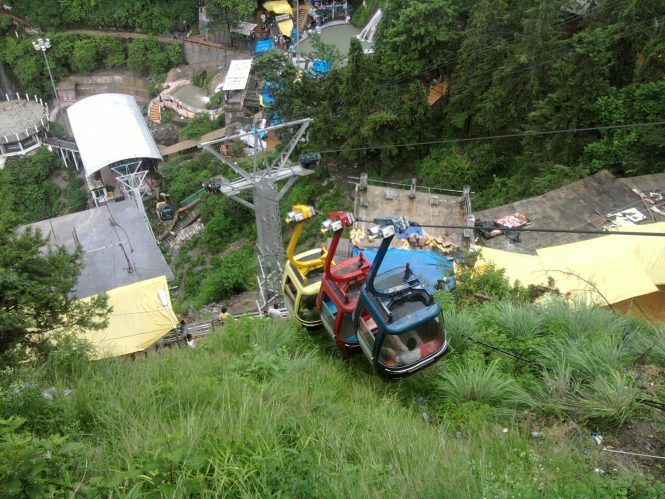 This ride escalates your experience in Mussoorie sightseeing, giving you a new perspective to look at the place. This man-made wonder in Mussoorie is all things beautiful about the place. 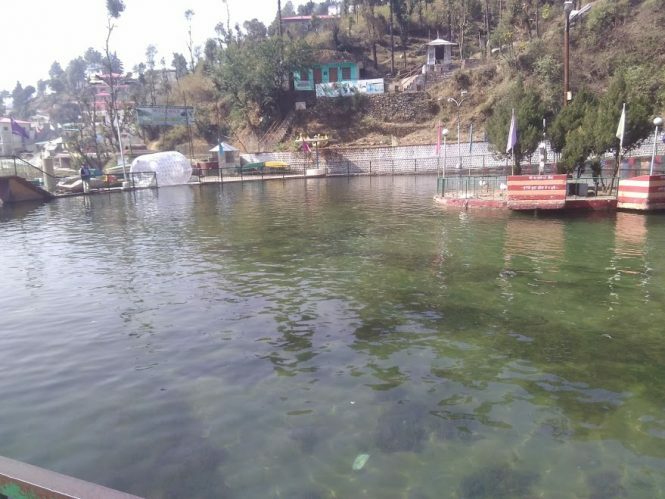 Looking like a natural beauty, this lake is one of the best places to visit in Mussoorie to enjoy some quality time with yourself. Most of the famous hotels in Mussoorie lie in and around this lake, making it easy for you to reach it at the earliest. Entry fee: INR 15-20 per person approximately. A perfect picnic spot for all the tourists, the Bhatt Falls that are located approximately 7-8 km away from Mussoorie are a delight to visit. 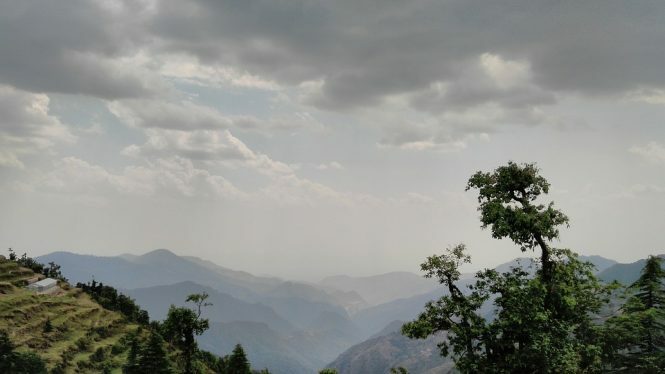 The best time to visit Mussoorie is during the rainy and winter, when there is abundant water in this area, with least crowd; allowing you to spend some quality time. Offering serendipity amidst the roaring sounds of the waters, these waterfalls are one of the most famous places to visit in Mussoorie. 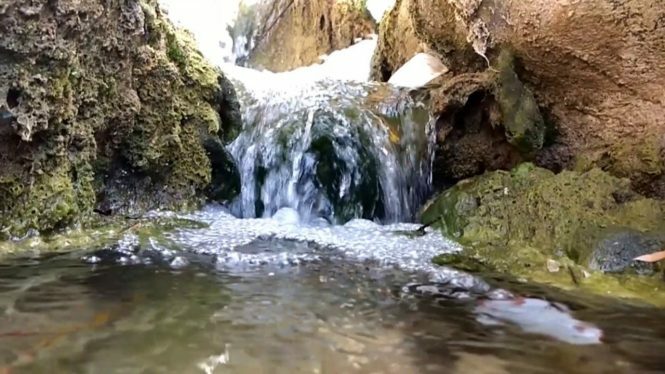 These waterfalls complement well with the Mussoorie temperature, offering a great chance to explore the place with utmost peace and tranquillity. Mussoorie temperature is generally cool due to the presence of a lot of greenery, making it the perfect place to witness waterfalls. 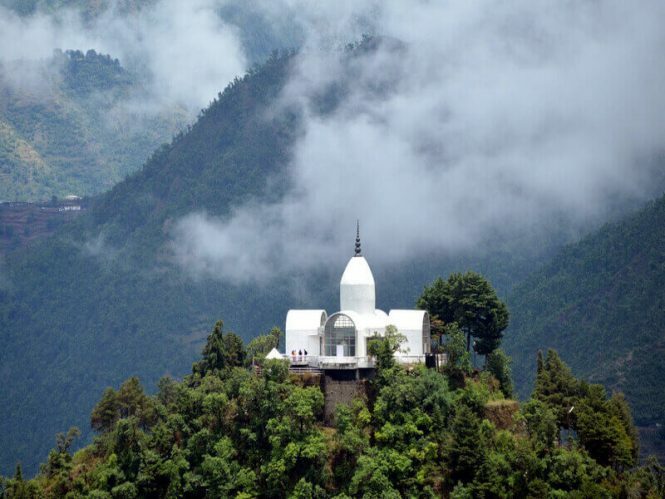 One of the most sought-after hill stations in Uttarakhand, Mussoorie, is also home to this wonderful sanctuary that is a paradise for all the bird lovers. 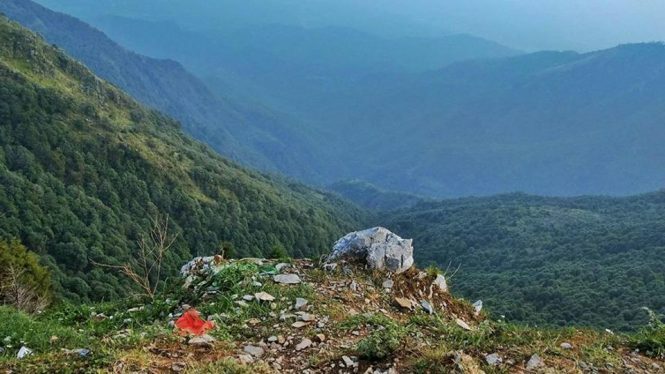 Apart from birds, you can also get a glimpse at the rare flora and fauna species that make it a perfect place for trekking. Best time to visit Mussoorie sanctuary is usually in the winters. Entry fee: INR 150-200 approximately for 3 hours per person if it is an Indian, and INR 600-650 for foreigners. Located a bit away from the hotels in Mussoorie, the Happy Valley is a famous place to visit in the town that attracts tourists from various areas. This Valley is also home to some of the popular resorts in Mussoorie that will make you stay just as blissful as this place. Mostly often regarded to be the Indian version of Madame Tussauds, this wax museum is a collection of some wax statues of eminent personalities. 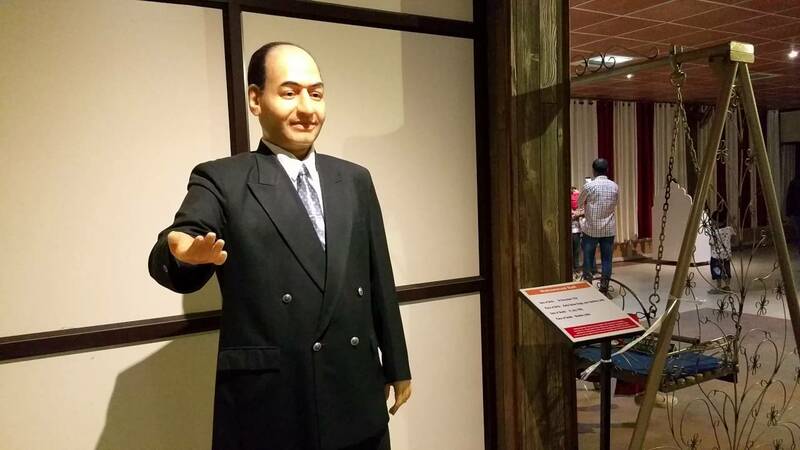 It also features statues of International celebrities like Angelina Jolie and Leonardo DiCaprio. Pump your adrenaline and bring out the adventurous side of yours at this thrilling park in Mussoorie. 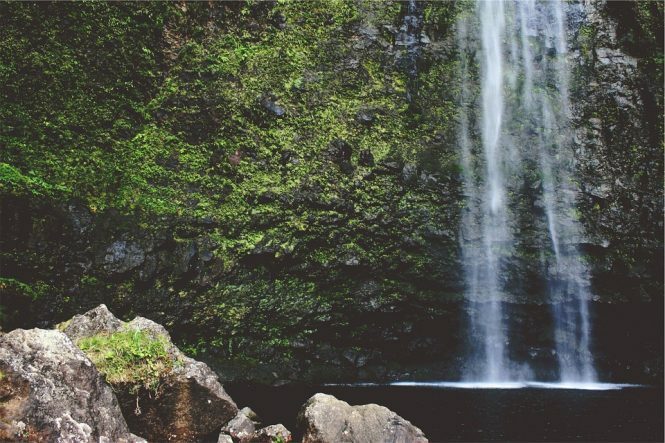 Ranging from zip lines to skywalks, this park has everything to offer for the adventure seeker in you, giving you an experience of a lifetime. Filled with the gushing waters of Kempty Falls, this perennial river is a famous attraction of Mussoorie. Featuring the most interesting resort in Mussoorie, this place boasts the Lake Mist Resort that attracts tourists from all over. 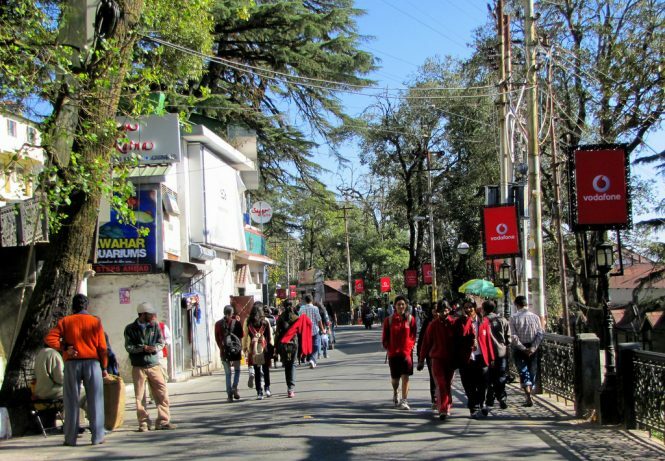 One of the most famous roads in Mussoorie, the Mall Road features a wide array of stores that would help the visitors to take back souvenirs from this place. There are also many Mussoorie hotels on mall road that make it easy for the tourists to reach the shops at the earliest. The Mussoorie hotels on mall road are all of the reasonable prices and are the best places to stay in the town.